hello sdc! 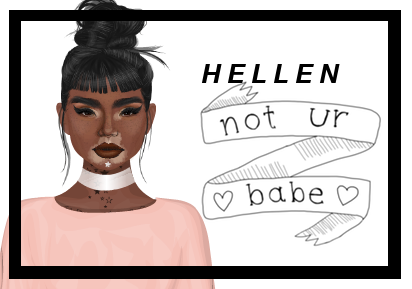 my name is hellen, and my last post i believe was before our huge makeover, and i'm so excited to be back. for those of you who don't know me, you can find me on facebook here, my doll here, and my blog kahlo me which i sporadically post on can be found here. i'm a junior in high school, i love old hollywood, kanye west, and alligators. i think that sums it up? anyway, on to the post...my top three favorites of the moment! 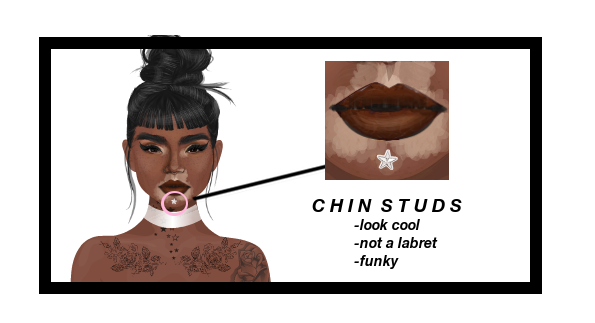 i love chin studs...so much. i feel like they are facial jewelry that looks good on every doll who tries it! the one my doll is wearing is a three stardollar givenchy inspired stud from epiphany. 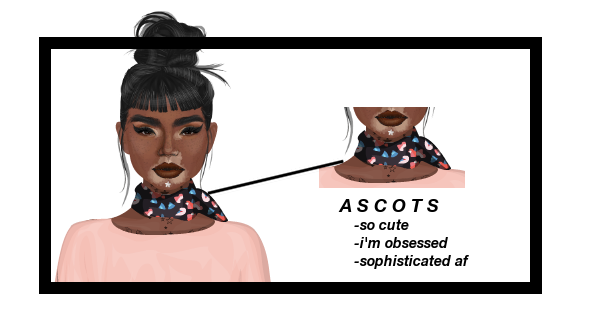 ascot scarves are so hot to me right now! i love them so much, they add a little bit of sophisticated elements to any outfit. i seriously can't get enough of these little things. okay, anyone who knows me knows i am a gucci hoe and an oversized sunglasses hoe....and when i saw these i had a hay day! these are definitely my favorite pair of sunglasses i have in my closet right now. so these are my top threes, but i wanna see yours...so why not make it a mini-comp? tell me your top three favorite items in the starplaza (that you don't currently own!) and your username in the comments. make sure to tag it with #heyhellen so i can find it. someone will get their top threes as a gift from me! hope you liked this post y'all!